The television series, The Young And The Restless aired for the first time on March 26, 1973. Since then, it has been running continuously for the past forty-six years and counting, undergoing various degrees of changes from time to time. Having been on television for so long, the show has produced some of the longest running roles ever, one of which is Paul Williams, the show’s longest running role played by actor Doug Davidson. Davidson’s character debuted in May 1978 and he has played the role on contract for up to forty years. The contract came to an end in 2017 and he stopped appearing on the series. A year later, however, he returned to take up the role once more, although on a recurring basis. Doug Davidson’s birth happened in the early hours of October 24, 1954, in Glendale, California. So far, we can hardly lay hands on any information concerning his parental background or his siblings. As for his educational background, we also do not have any information concerning where or when he went to elementary school. But we know he went to La Canada High School in La Canada Flintridge, California. He then went ahead to earn a Marine Biology degree from Occidental College, Los Angeles, California. After college, Doug Davidson’s acting career began in 1977 when he played the role of Collin in the historical drama, Fraternity Row. Since then, he has been part of at least ten screen projects, including the aforementioned soap opera The Young And The Restless. In 1978, he was Tommy in the ABC Channel’s horror film, The Initiation Of Sarah. He was also on the set of the 1987 CBS miniseries I’ll Take Manhattan where he played the role of a male model. Again in 1994, he was in the CBS comedy crime drama series Diagnosis: Murder as himself. Davidson also was a saxophone player on the 1999 British romantic drama film, Dreaming Of Joseph Lees. These are beside a couple of other less successful screen projects that he worked on. Between 1989 and 1993, Doug Davidson led the team of The Young And The Restless who played for charity on the television game show Family Feud. From that, he landed a contract to be the host of a syndicated version of the game show named The New Price Is Right, although the show lasted for less than five months before it was canceled. As a result of his excellent performance in these projects, Davidson has been a nominee and winner of so many prestigious awards. For example, he has been nominated for six Soap Opera Digest Awards of which he won four. Also, he has been a five-time nominee for a Daytime Emmy Award, which he has won once. In 2007 when Bob Barker – the charming and charismatic host of the game show, The Price Is Right – was retiring, Doug Davidson was one of those considered to replace him. However, at the audition, he lost the position to the talented comedian Drew Carey. Doug Davidson is married to actress Cindy Fisher. The couple met for the first time in 1980 and wedded four years later in 1984 on May 27. The ceremony took place at the high-brow Santa Barbara Biltmore Hotel. Cindy has also acted on The Young And The Restless alongside her husband. She has notably played two different roles, as Rebecca and Dana, on the show. So far, the marriage between Doug and Cindy is blessed with two children; a daughter named Calyssa Davidson and a son named Caden Davidson. As already mentioned, Doug Davidson worked on The Young And The Restless on contract for forty years. According to Bizfluent, the big names on the show earned between $18,000 and $25,000 per episode. Seeing that he appeared on at least 50% of the show’s 11,000 episodes through its over 40-year span, you can see that the actor was smiling all the way to the bank for his effort. Besides, The Young And The Restless, he has appeared in other productions, such as the 1977 drama film The Fraternity Row which is said to have paid him handsomely. 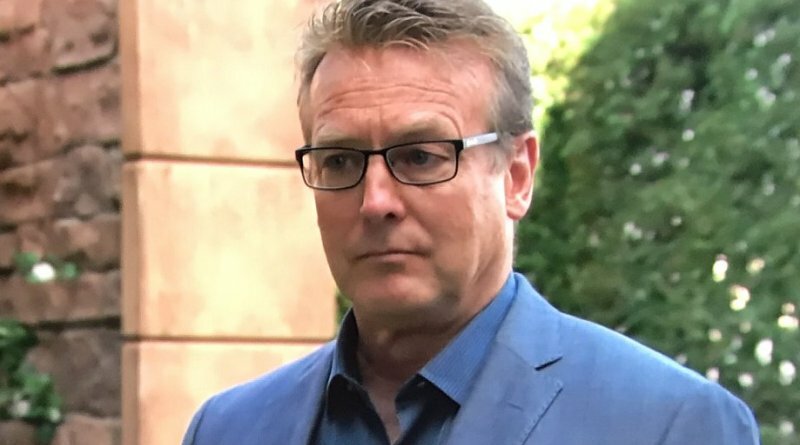 From all that, many sources in 2017 reported that Doug Davidson’s net worth is $4 million.